You'll get mixed responses when it comes to discussion of how manufacturers approach the subject of maximizing its displays. 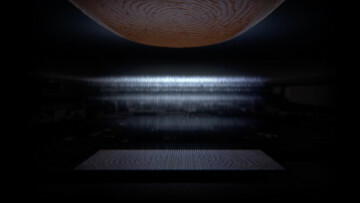 A majority of companies have resorted to relying on the "notch", while a handful of others have gotten a little more creative. 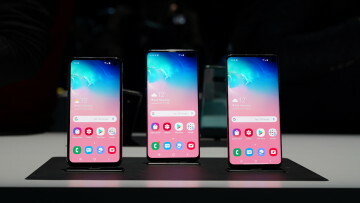 Whether you love it or hate, Samsung 's approach with its Infinity-O Display is different, and users have quickly come up with fun ways to embrace it. 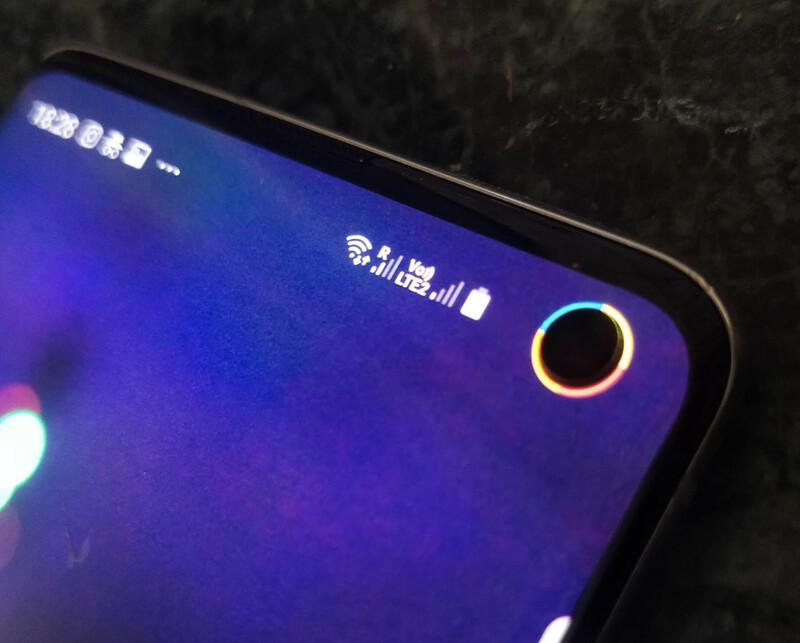 The Energy Ring app takes things to a whole new level, putting a battery level indicator around the camera cutout on the Galaxy S10 and Galaxy S10e. Energy Ring offers customization options, giving users the ability to change the thickness of the ring, its direction when discharging, and also the ability to choose different color segments that can correspond to the level of charge in the battery. 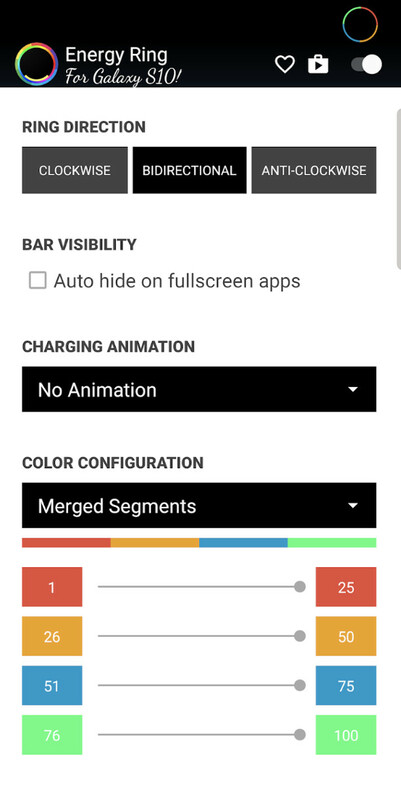 Best of all, there is an option that will allow you to disable the ring when you are using fullscreen apps. There also might be concerns with regards to the app needing access to notifications, the developer also addresses this by saying that the app doesn't read any notifications but relies on it so that Energy Ring can perform its functions. If this looks interesting, you can download the app for free from the Google Play Store. 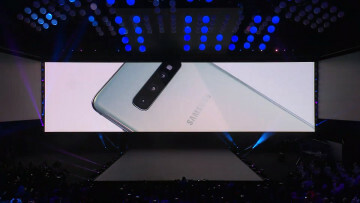 Galaxy S10+ owners will be out of luck this go-around, but the developer is in the process of adding support soon.